Sarah Palin, the first female governor of Alaska, was John McCain's running mate in the U.S. presidental elections of 2008. 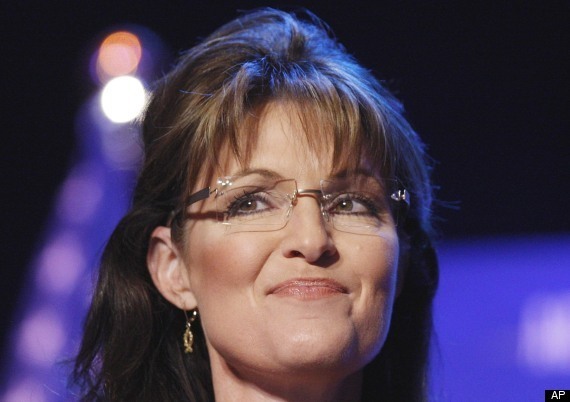 Sarah Palin was born in Idaho but moved to Alaska with her family when she was three months old. Two accomplishments from her youth have become especially well known: she played point guard for Wasilla High School's 1982 championship team, and she placed second in the Miss Alaska contest of 1984. After attending four different colleges, she earned a journalism degree from the University of Idaho in 1987, then returned to Alaska and married Todd Palin, her high school boyfriend, in 1988. After a few stints as a TV sportscaster in Anchorage, Sarah Palin joined the Wasilla city council in 1992, then served as the city's mayor from 1996-2002. She was sworn in as Alaska's first woman governor on 4 December 2006, after running a campaign based on ethics and clean government. Two years later, in a surprise selection, Arizona senator John McCain made her the Republican Party's first female candidate for vice president. She and McCain were defeated by the Democratic ticket of Barack Obama and Joe Biden, but that didn't slow Palin's apparent ambition for the spotlight. She stayed in the public eye throughout the beginning of 2009, making high-profile trips out of Alaska. In a surprise move, she resigned on 26 July 2009, in the middle of her first term as governor, handing power over to Lt. Gov. Sean Parnell. 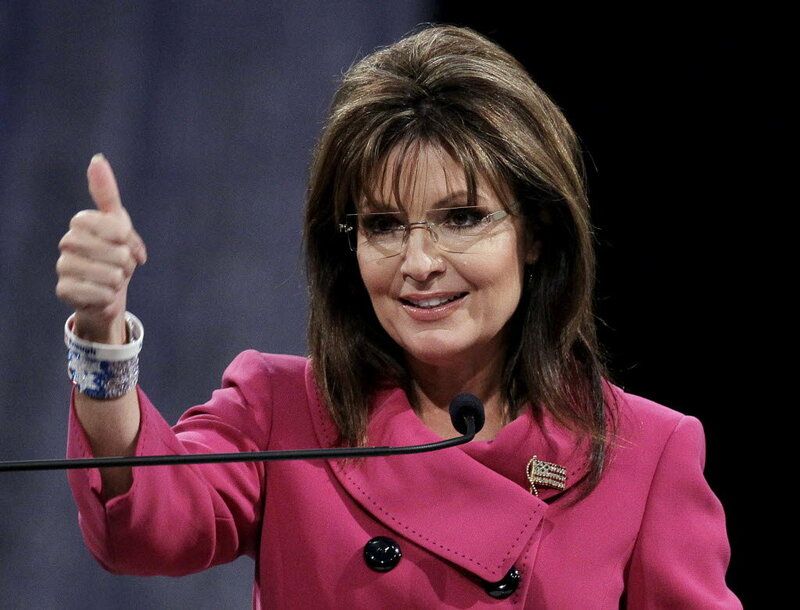 Palin started a new career as a highly-paid public speaker and Obama critic. She published a memoir, Going Rogue (2009), and starred in her own reality show, Sarah Palin's Alaska, which ran for eight episodes in 2010-11. She also became a paid commentator for Fox News in 2010; Fox News announced that they had "parted ways" in January of 2013. Days after her nomination as vice-president in 2008, Sarah Palin announced that her 17-year-old daughter, Bristol, was pregnant. pregnant. Palin said Bristol would marry the father of the child, Levi Johnston, but Bristol Palin and Johnston later broke up. Their son Tripp, Sarah Palin's first grandchild, was born in December of 2008... Wasilla is located 35 miles north of Anchorage. The city population was 7028 people in September 2008, according to the city's website... Sarah Palin's high school basketball nickname was "Sarah Barracuda"... The Palins have five children: son Track (b. 1989), daughters Bristol (b. 1990), Willow (b. 1994), and Piper (b. 2000), and son Trig (b. 2008). The dates were confirmed in a two-page health history published by her doctor, Cathy Baldwin-Johnson... Trig, who has Down Syndrome, was born while Palin was governor... Track Palin joined the US Army in 2007. Palin dismissed Public Safety Commissioner Walt Monegan on July 11, 2008, citing performance-related issues, such as not being "a team player on budgeting issues" and "egregious rogue behavior." Palin attorney Thomas Van Flein said that the "last straw" was Monegan's planned trip to Washington, D.C., to seek funding for a new, multimillion-dollar sexual assault initiative the governor hadn't yet approved. Monegan said that he had resisted persistent pressure from Palin, her husband, and her staff, including state Attorney General Talis J. Colberg, to fire Palin’s ex-brother-in-law, Alaska State Trooper Mike Wooten; Wooten was involved in a child custody battle with Palin’s sister after a bitter divorce that included an alleged death threat against Palin's father. At one point Sarah and Todd Palin hired a private investigator to gather information, seeking to have Wooten officially disciplined. Monegan stated that he learned an internal investigation had found all but two of the allegations to be unsubstantiated, and Wooten had been disciplined for the others — an illegal moose killing and the tasering of his 11-year-old stepson, who had reportedly asked to be tasered. He told the Palins that there was nothing he could do because the matter was closed. When contacted by the press for comment, Monegan first acknowledged pressure to fire Wooten but said that he could not be certain that his own firing was connected to that issue; he later asserted that the dispute over Wooten was a major reason for his firing. Palin stated on July 17 that Monegan was not pressured to fire Wooten, nor dismissed for not doing so. Monegan said the subject of Wooten came up when he invited Palin to a birthday party for his cousin, state senator Lyman Hoffman, in February 2007 during the legislative session in Juneau. "As we were walking down the stairs in the capitol building she wanted to talk to me about her former brother-in-law," Monegan said. "I said, 'Ma'am, I need to keep you at arm's length with this. I can't deal about him with you. She said, 'OK, that's a good idea.'" Palin said there was "absolutely no pressure ever put on Commissioner Monegan to hire or fire anybody, at any time. I did not abuse my office powers. And I don't know how to be more blunt and candid and honest, but to tell you that truth. To tell you that no pressure was ever put on anybody to fire anybody." Todd Palin gave a similar account. On August 13 she acknowledged that a half dozen members of her administration had made more than two dozen calls on the matter to various state officials. "I do now have to tell Alaskans that such pressure could have been perceived to exist, although I have only now become aware of it," she said. Palin said, "Many of these inquiries were completely appropriate. However, the serial nature of the contacts could be perceived as some kind of pressure, presumably at my direction." Chuck Kopp, whom Palin had appointed to replace Monegan as public safety commissioner, received a $10,000 state severance package after he resigned following just two weeks on the job. Kopp, the former Kenai chief of police, resigned July 25 following disclosure of a 2005 sexual harassment complaint and letter of reprimand against him. Monegan said that he did not receive a severance package from the state. Palin was selected as one of America’s "10 Most Fascinating People of 2008" by Barbara Walters for an ABC special on December 4, 2008. In April 2010, she was selected as one of the world's 100 most influential people by TIME Magazine. In the wake of the January 8, 2011 shooting of Rep. Gabrielle Giffords, Palin faced criticism for her SarahPAC website's inclusion of a common political graphic that included a crosshair over Giffords's district. 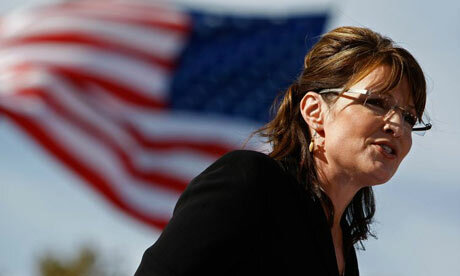 Palin responded on her Facebook page to the criticism, saying that "Acts of monstrous criminality stand on their own. They begin and end with the criminals who commit them," controversially equating the accusations of her role in the shooting to a "blood libel". Her response sparked a fiery debate attracting support and criticism. While an ABC News-Washington Post poll found that 46% of respondents viewed Palin's response unfavorably, 30% approved and 24% had no opinion, other polls indicated an increase in Palin's favorable popularity.